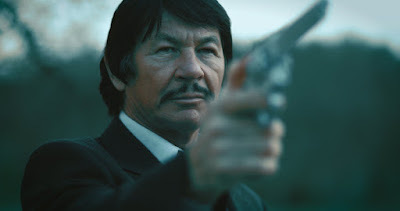 Uncork's Entertainment recently send us over stills for their upcoming release "Death Kiss". The film stars Robert Kovacs, Daniel Baldwin, Richard Tyson and Eve Hamilton. "Death Kiss" hits VOD October 2nd and DVD December 4th. 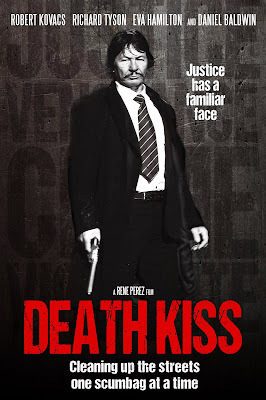 Uncork'd Entertainment announces a digital/VOD release date of October 2nd for new action-vigilante feature DEATH KISS. 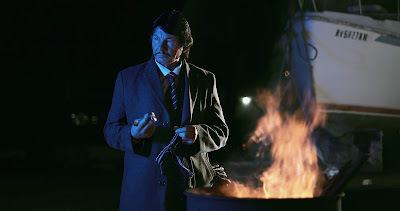 Filmed in Northern California, the film stars Robert Kovacs (who has gained attention for his uncanny resemblance to a certain well-known action star), Daniel Baldwin (JOHN CARPENTER’S VAMPIRES), Richard Tyson (KINDERGARTEN COP, TWO MOON JUNCTION), Eva Hamilton (horror fest fave RUIN ME), Stormi Maya, Leia Perez, Reese Austyn, and Sam Story. 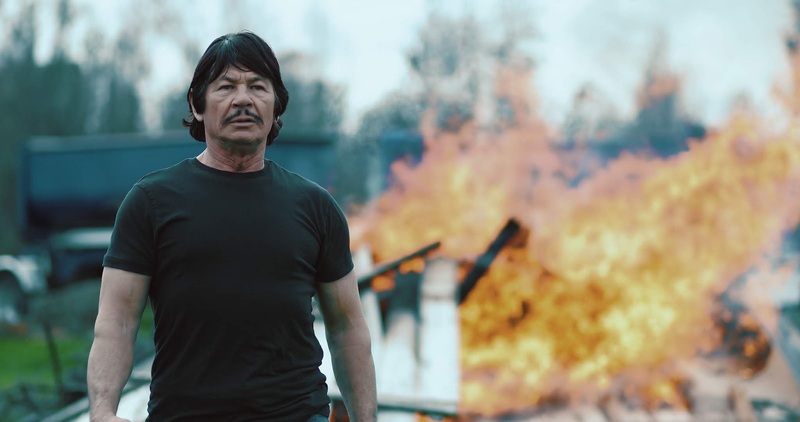 "Rene's movie is very cool and stylish. It feels like a throwback to the Cannon films of the '80s," says Miller. "After an enthusiastic response at Texas Frightmare Weekend in May, we're excited to show the film to the general public." The DVD, with special features such as director's commentary and the trailer, will be released December 4th.